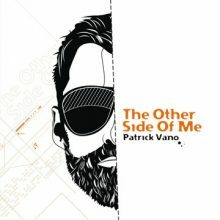 Patrick Vano’s „The Other Side Of Me“ marks a changing point in his life. Although being in the circus since the early 90’s he started to release his tracks only three years ago. Before that Patrick saw himself more as a dj, party promoter, graphic artists and scene mag editor. It was in 2010 when he discovered the studio together with dj pal Vladimir Corbin. Now, after a couple of tracks and remixes out under his former moniker Peddy he’s definitely grown out of his bedroom studio. It’s time to take the next step. The album is not meant to be a listen-thru longplayer. It’s more a collection of dj tools and shows what Patrick Vano needs to play in the clubs. Each track shows a certain addictive element, whether it’s a bass line, a lead synth or a remarkable vocal part. The tracks cover trendy techhouse as well as driving techno and fluffy house music. It’s a shame that we had to pick just three of the tracks to cut them on a vinyl single – along with a remix by Dapayk. But we’re sure that all the album tracks reveal their energy when feeding them to a big sound system. As a dj Patrick Vano knows how to focus on the needs of party people. With a sound between Format:B’s dry uplifting techhouse tools and Mo’s Ferry’s experimental Frickelsound, Patrick’s debut contains catchy floorfillers for every dj case.